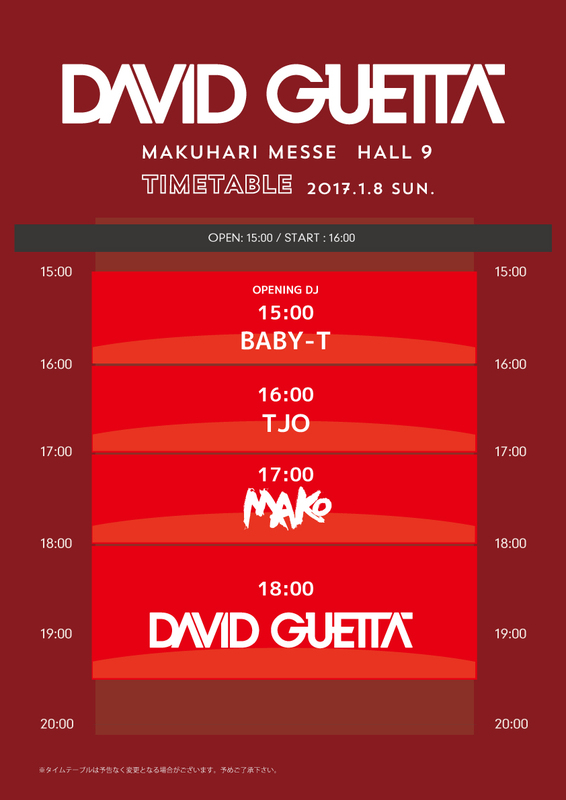 *In the case of advance tickets being sold out, please note that there will be no tickets at the door available on the day of the show. *age 6 or over are permitted to enter the premises, and a ticket will be required per person. *Photo ID (with necessary birthdate on) is required to purchase alcohol at the venue as legal age credential. No drink-drive is allowed. ticket is now available via Rakuten Tickets! 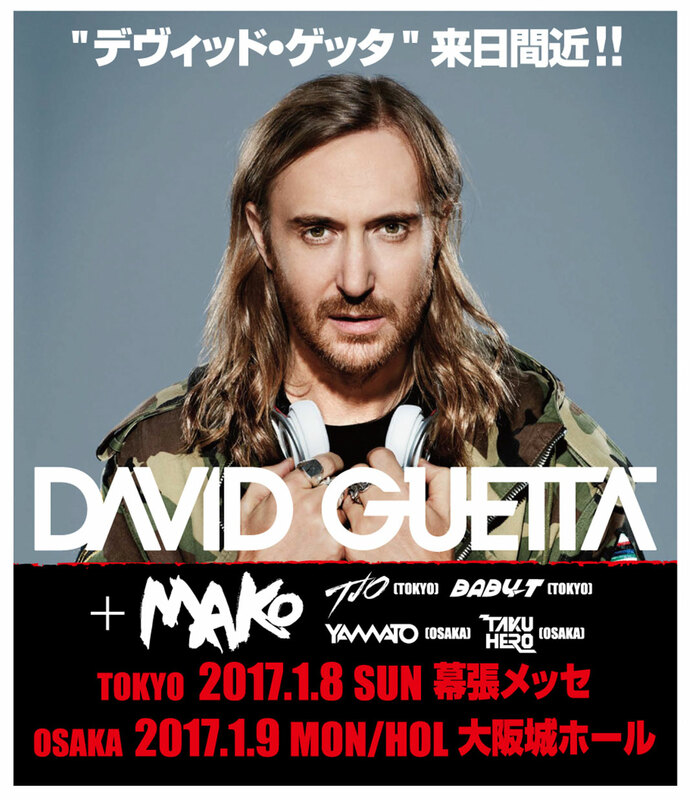 *For customers who live in Japan can also purchase ticket at Rakuten Tickets, along with other vendors shown in this page. Get your tickets before sold-out! 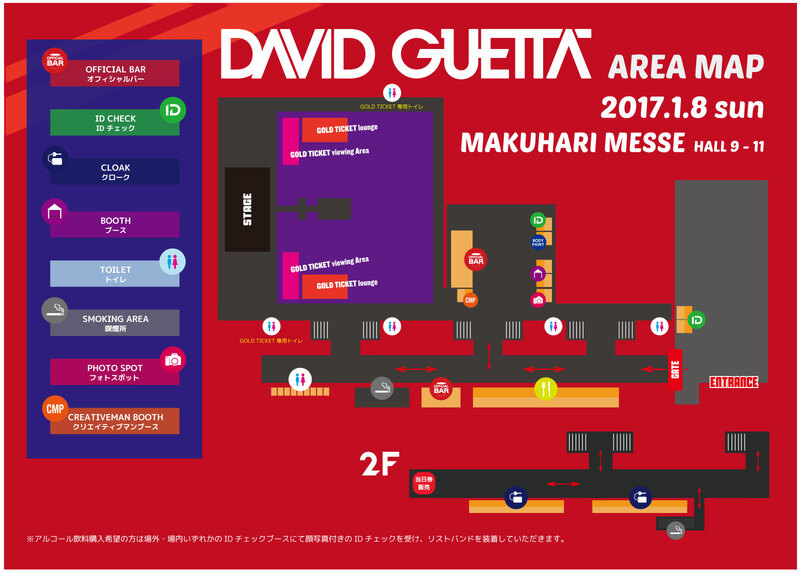 *Please read "IMPORTANT REMINDER FOR CUSTOMERS @David Guetta" in English page before you purchase your tickets. *Any items including food, drinks, dangerous items prohibited by the event organizers may not be brought inside the venue, and will be confiscated at entrance. *Cooling boxes, mats, cans, bottles, tents and flammables (e.g. fireworks) are prohibited. *Persons who cause trouble at the site, or who ignore the instructions by the event organizers, will be forcibly ejected from the premises and will not be issued refunds under any circumstances. *Ticket is required for anybody who is older than 6 years old per ticket per person, and any child under 5 years old age not permitted to enter the premises. No Drink & Drive is allowed, please tate public transportation when drinking alcohol.